If you are new to prepping, or interested but not sure that it’s for you, a great place to start out is with what to have in your Every Day Carry (EDC) kit. Your EDC kit is made up of items that you commit to carrying with you every day, at all times. The only time you might not have these items on your person might be at home in bed. The contents may vary depending on your location, plans, and intentions that day. A business trip to the other side of the state, commuting to the other side of town to work, a walk to the corner deli on a day off, or driving to the gym means you are dressed differently. Business attire, or jeans and a T-shirt, or workout clothes will make a difference as to what you can carry. Urban vs. rural areas and a familiar vs strange city are also considerations. The main purpose for having an EDC kit is so that if you are stranded or trapped and unable to get to any other form of help, you will have some basic tools and resources on your person. In the event you find yourself trapped beneath the rubble of a building after an explosion, trapped in a conference room with a hostile or aggressive person, trapped in a car because of a jammed seat belt, or forced to flee to the woods, you will have at least some tools on hand that could help you survive. EDC items are also very valuable for more mundane situations, such as your car breaking down or missing your last bus of the day and getting stranded. EDC items are also those items you have learned come in handy regularly, and increase your comfort, or solve small problems. Some people mingle their EDC items with their Get Home Bag (GHB), a bag with supplies to get you home in a crisis and meant to be accessible to you at all times. You will also want to put together a Bug Out Bag (BOB) for your home and car as well as an I’m Never Coming Home (INCH) or Get Out of Dodge (GOOD) bag. All of these bags together with your stockpile at home and at your Bug Out Location (BOL) will greatly increase your chances of survival when things go wrong. For this article, we’re going to focus on those things you can keep on your person that could be the difference between life and death, and the difference between comfort vs. discomfort, and a frustrating vs. minor inconvenience. 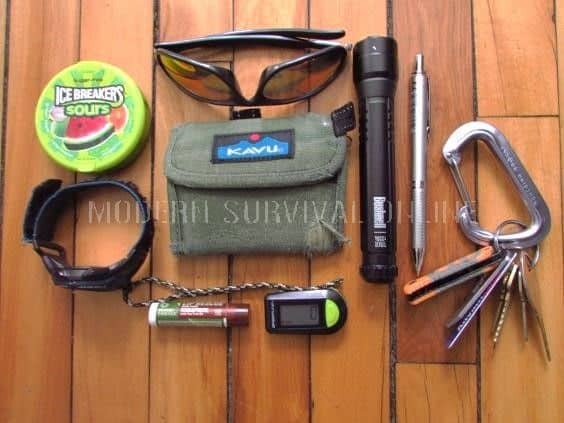 In extremis, the items that could be crucial to your survival if you are trapped without any other resources. Imagine that you were one of those people working in or near the twin towers on 9/11 when the planes hit. Now that we know how important your EDC kit can be, let’s talk about the kinds of things that need to be in it and how you’re going to fit all these items on your person without looking like the Terminator as you come into work every day, or a Mall-Ninja when you shop at Walmart. We’ve said that your EDC kit is made up of items you carry with you at all times so this means they need to be stored on your person. Every morning when you wake up, you will make sure you have these items with you. You’re going to store them in your pants pockets, shirt pockets, a lanyard around your neck, your key ring, or inserted into a body cavity. Kidding. I just wanted to see if you were paying attention and reading every line. For women, your purse is considered an extension of your person since there are very few times that you don’t have it in the room with you. For men, your wallet can also be a place to store items. To put together your EDC kit, think about both the little inconveniences and minor emergencies that can come up at any time. Men, especially students and professional men carry a satchel, or laptop bag, or messenger bag, aka a Man-Purse. It could be as simple as being able to open that impossible plastic packaging or put that tiny screw back in someone’s glasses. You will need to cut things, tie things, and perhaps do a quick repair. 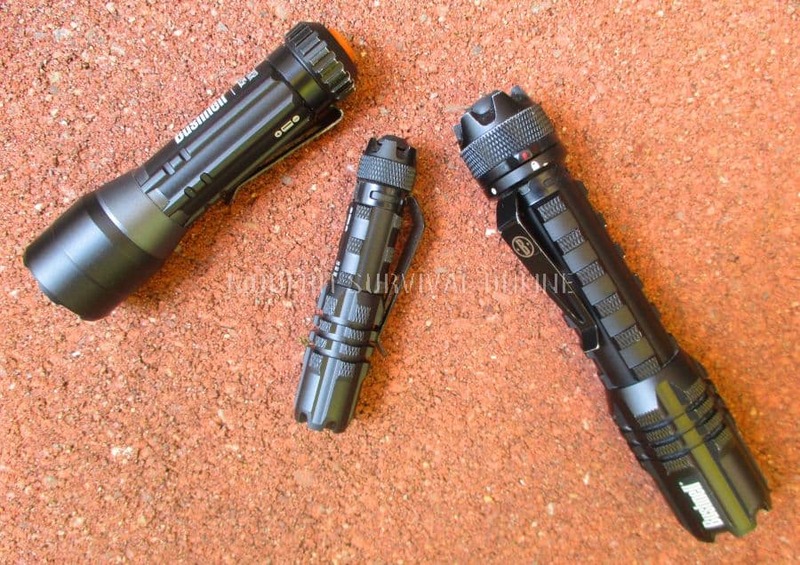 But your EDC will also contain items that come in handy for more serious emergencies too like explosions, fires, natural disasters, and yes a SHTF or other event that warrants martial law. Take an objective look at your workplace and any other location where you spend time for any potential crises that might be specific to those locations. 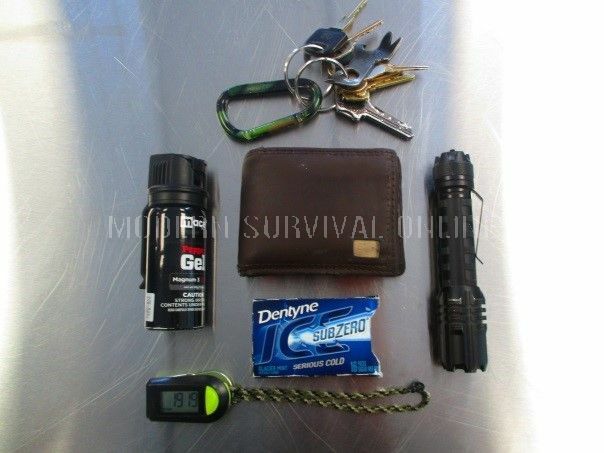 The items that make up your EDC kit should reflect your typical situation. If you or a family member have any chronic medical issues such as diabetes, high blood pressure, or acute allergic reactions, you will want to include the necessary medications in your EDC. 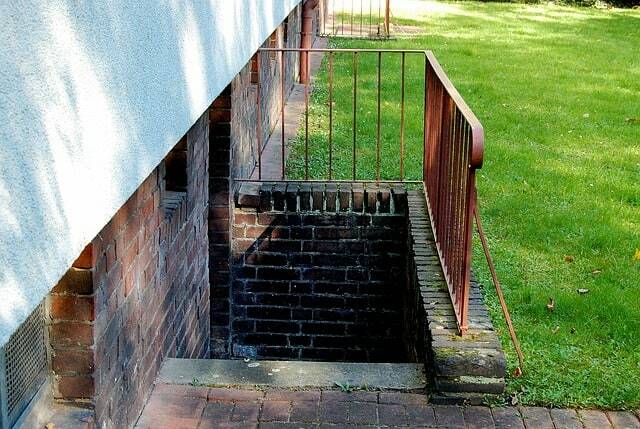 If you are in an urban situation, think about the types of obstacles you might come up against. Looting, rioting, and dangerous debris on the ground will be more prevalent in urban areas so items for self-defense and first aid care will be more critical. There will be more people within close range, so creating a smokeless fire that won’t draw attention to your location is important. Think about the scene during and immediately following the Boston bombing. In an urban area, you may also more frequently come in contact with people who are panicking and behaving irrationally. Loose dogs who are scared by the noise and chaos maybe be a challenge so you may want to carry pepper spray . Proper waste disposal, good hygiene, and protection from communicable diseases is more of an issue in crowded areas. Remember what followed Hurricane Katrina? For rural or very remote areas, you may want to focus your EDC so that you have more of the items you need to live off the land. Protection from wild animals will be a bigger issue in a rural area and being able to identify edible plants would come in handy. In addition to finding clean water, you will need to be able to cut firewood, start a fire, trap and hunt small animals for food, navigate wooded terrain, cook outdoors, and erect a temporary shelter as protection from the weather. If you’re like most people, you are already in the habit of carrying your cell phone or HHED (Hand Held Electronic Device) with you everywhere. 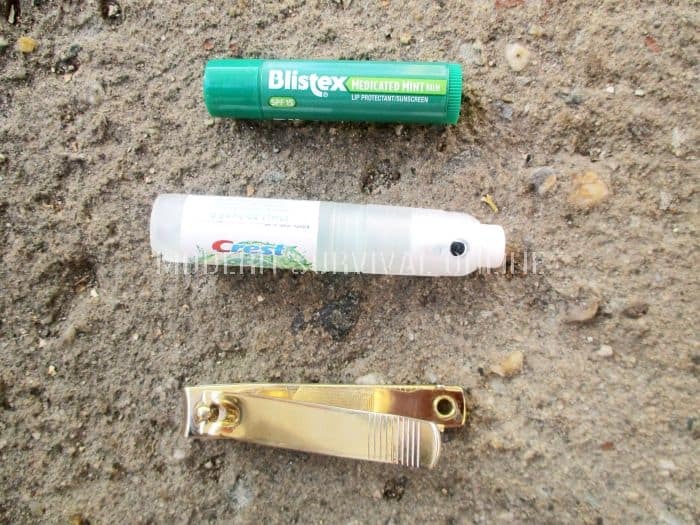 You can begin your EDC kit by simply expanding what you have available there. Sometimes knowing how to react in an emergency can make a huge difference in your chance of survival. There’s no way that you can learn every technique and procedure in detail, memorize it, and be confident you can recall it when needed. But there are tons of survival apps that have detailed information about all kinds of topics, which could be very useful if you are stranded in an expected emergency situation. The best way to be prepared is to become certified in first aid/CPR skills but if you haven’t had time to do that or just in case your skills are a little rusty, this handy app can truly be a lifesaver. Download this app to your phone and you will have detailed instructions and video demonstrations of how to do first aid for many different types of situations including heart attacks, drowning, choking, etc. iPhone or Android users can download it here. To keep up to date with important weather related information try the WeatherBug app for iPhone or Android and to stay abreast of what’s going on in your area, do your research and select one of the many emergency radio/scanner apps. The apps above are just the tip of the iceberg when it comes to information you can include on your phone as part of your EDC kit. There are apps available for just about any kind of information or instructions you could need in an emergency. Just make sure you have enough storage on your phone and that you include a way to charge your phone in your EDC kit. Next look for mini items that you can simply add to your keychain. This could be things like a small screwdriver and pliers or multi-tool if you prefer, a mini-flashlight, a button compass, keychain money holder, cutting tools, a bottle opener and can opener, etc. For those who feel they may get caught in the wilderness, a lighter, or a waterproof cylinder with strike anywhere matches, or some tinder inside and a fire steel will come in handy. Some people feel that having a small thumb drive or flash drive on their keychain where they can keep copies of important documents, inventory lists of household valuables, contact information, and field manuals or survival e-books, is also worthwhile. Once you have your cell phone and keychain organized, you can begin to think about other items that you need to carry. Always factor weight and bulkiness as it’s important for your EDC items to be something you can carry with you every day. Your EDC items will do no good if you get in the habit of leaving them home because they are too burdensome. The next thing to consider are the discreet items that you can wear every day without calling too much attention to yourself. Paracord always comes in handy in survival situations so replace your shoelaces with some or get a paracord bracelet to wear on your wrist or around your ankle covered by your pant leg. Wear a watch; get one with multi-functions if you can. Pin some safety pins into the sleeves or collars of your shirts so you always have one on hand when needed. Think about your everyday clothing and the total number of pockets you will have most days. If you carry a purse or wallet with you, some items can be carried there. Factor frequency of use, weight, shape into your decision about where to carry each item. Non-lethal weapons such as pepper spray. 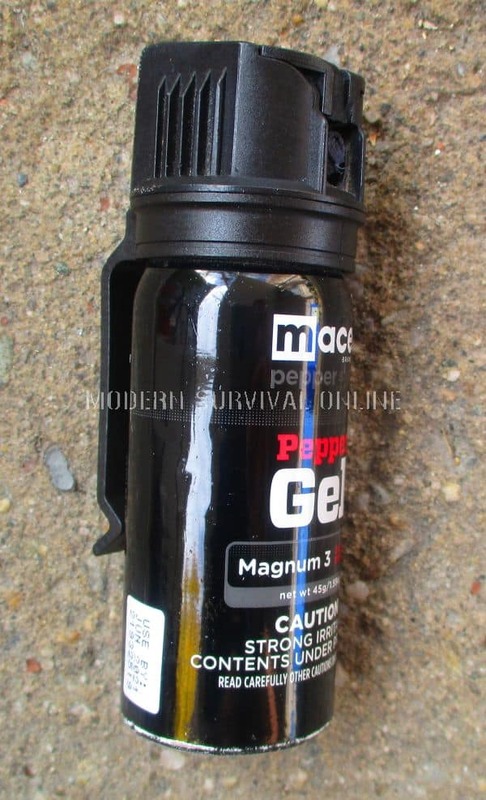 Non-lethal weapons such as pepper spray or mace. Duct tape or electrical tape wrapped on a piece of cardboard. An Altoid tin with a fishing kit and/or mini first aid kit inside. 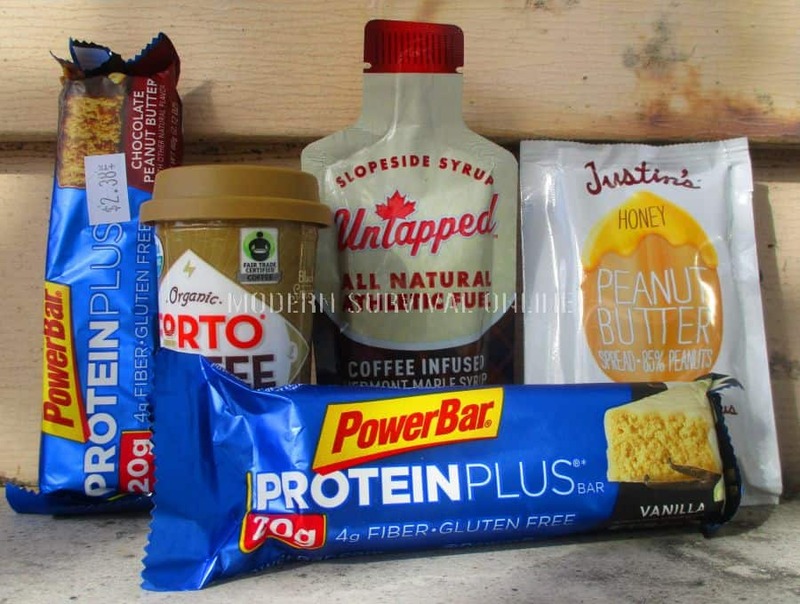 Zip lock bag with jerky or pemmican, nuts, energy bars, etc. Personal hygiene items such as lip balm, nail clippers, tweezers, and dental floss. For those who want to have more on them they can be carried or worn, or for those whose everyday clothing doesn’t include a lot of pockets, you can consider carrying an EDC bag. The key thing to remember is that it should be on your person at all times. So if you choose to use a bag, use one that you can carry or wear every day. An EDC bag should definitely be discreet, and not draw too much attention, especially if you will be carrying it to an office or school environment. Use an EDC bag whenPack what you feel you can’t do without in an emergency but remember not to get the bag too heavy. Ideally your EDC will be something you can wear on your back, cross body, or around your waist so that your hands are free to defend yourself and you can move quickly. The discreet EDC bag can be one of these small messenger bags, a laptop bag, camera bag, or even a fanny pack. If you work in a more rugged environment such as in construction or maybe as a first responder, you may be able to get away with something like the Maxpedition Proteus Versipack. The most important things about your EDC kit items are that they are comfortable enough for you to get in the habit of carrying every day and that you know how to use them for whatever situation might be likely to occur in your area. Customize your EDC to meet your specific needs and keep it with you at all times and it will serve you well in any crisis situation. Pardon the terrible pun but don’t get carried away. I think it is overdoing it if you won’t leave the house without 40 lbs. 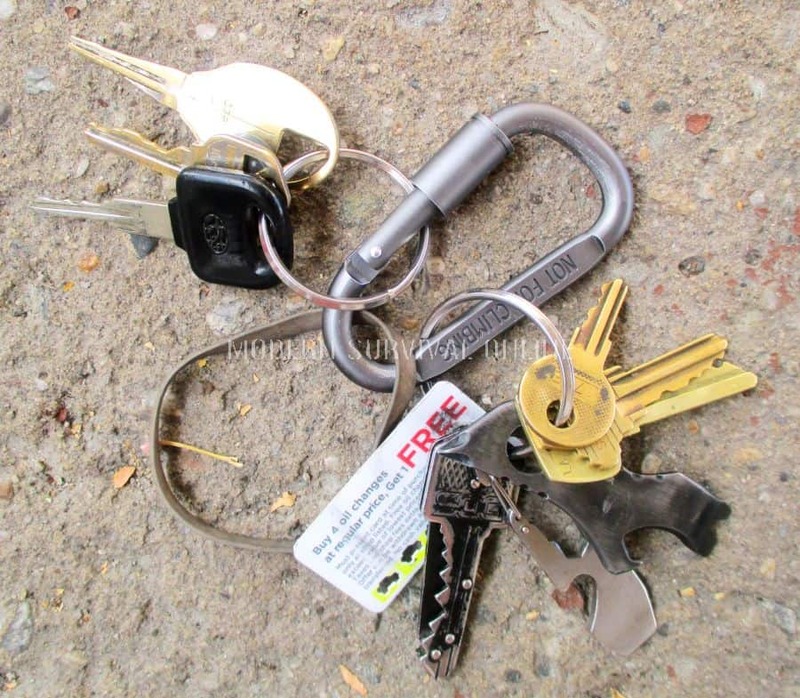 of gear in your bulging pockets and a five-pound keychain. Above are my typical workday or weekend in town EDC’s . Keep it simple, and keep perspective. By carrying so much gear, are you alleviating or creating anxiety? Accept that you cannot control everything, or prepare for every eventuality. How much will it impact your present quality of life if you try? This is a huge difference between taking reasonable precautions and being prepared vs. a paranoid Tacti-Cool Ramboid. What else do you include in your EDC kit? Thanks Megan, I like the way you broke down the idea of what to carry where. I am missing a few items on my key chain. I use to carry multiple miniature items on my key chains. However, since I already have so much stuff in my pockets, I took those items off. . My EDC is likely heavier and more elaborate than most. Even before I was a Prepper, I always carried a ton of stuff in my pockets. Thirty years in the US Army afforded me the clothing to support that lifestyle. In retirement, I actually think I carry more. I wear tactical or BDU trousers in the winter and cargo shorts in the summer. At any given time, I have a .45 ACP (S&W 457 or Ruger P345), 3 additional magazines, a Swiss Army knife (Huntsman), Schrade multi-tool, 2 bandannas, cell phone, Nebo flashlight, 2 lighters, 2 packs of smokes, pack of Jolt gum, small tube of hand cream and several days worth of medication. Whenever I leave home, I take a Condor Tactical Bag with me. This holds another firearm, S&W Governor or Taurus Judge, some ammo and a bunch of survival items. I also store a few Get Home Bags in my SUV, each built around a particular weapons system (Ruger 10/22 Takedown and Henry AR-7). We generally roll as a family, thus the multiple survival containers. 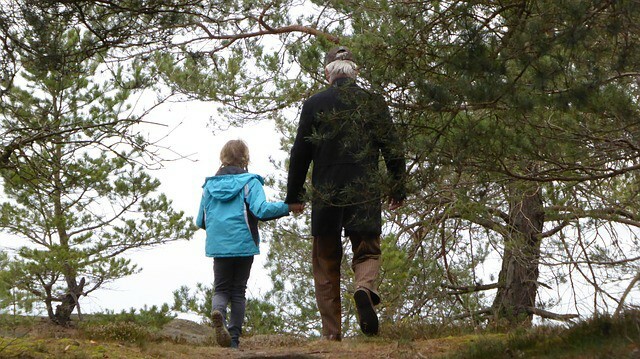 I, as an old prepping codger will never carry a smartphone or a cellphone. I do not want to be tracked to the meter. That’s just partisan’s wisdom. Who knows who wants to know where I am at the moment. Nice list. I especially like the phone app suggestions. Like the SAS Survival book. I have the print and Kindle versions but had no idea there was an app for it. Thanks. most important things in survival, any REAL survivalist knows that just saying. how about a mini IFAK , the mini sas survival manual is all good and well, but honestly should’nt one allready know these things to begin with really,off the top of your head how many wqays do you know now to start a fire? how about shelter building’ just saying wipping out your sas manual in a emergency is not the time to learn how to survive. you should already know this. Nice article! I have to say though, one of the things I agree the most with, is Mikeys comment about manual. It may come off a little brash, but practice makes perfect. Do some things out of your manual while it’s fun and you get a ‘do over’. Thank you, good read!